Vanity Fair has announced a new initiative within Campaign Hollywood, its annual, weeklong celebration leading up to the Academy Awards. Called Vanity Fair Social Club, the lounge is located in Hollywood’s WeWork creative co-working space and will provide bloggers and online journalists with a fun and inspiring space to write, work, and be entertained while in Los Angeles for the week of the Academy Awards. This is the first social club of its kind to be held during Oscar week. From Monday, February 24 through Sunday, March 2, Vanity Fair and presenting sponsors Chrysler and L’Oréal Paris will host several events at the V.F. Social Club space centered around the Academy Awards, fashion, and, of course, social media. V.F. Social Club guests also will be treated to Chobani “Simply 100” Greek yogurt, as well as custom recipes for both breakfast and afternoon appetizers. Additional Social Club participants include Clarisonic, Giorgio Armani Beauty, Lancôme, Leon Max, Mionetto Prosecco, and Stella Artois. Vanity Fair Social Club and Campaign Hollywood reflect the glamour, art, and excitement of Oscar Week in Hollywood, while spotlighting brands and charities in a way that only Vanity Fair can. The Chrysler and Fiat brands have returned for the fourth year as the automotive sponsors of Campaign Hollywood. By partnering with Vanity Fair, Chrysler and Fiat will allow the magazine’s V.I.P. guests to arrive in luxury throughout Oscar Week in the sophisticated and smart 2014 Chrysler 300 and experience the exceptional 2014 Fiat 500L. On Thursday, February 27, Chrysler will host a private cocktail party at Robert De Niro’s Ago restaurant to toast the cast of the Academy Award–nominated film, American Hustle. 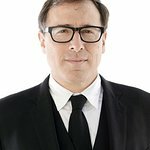 The evening will benefit the Ghetto Film School, a charity close to the heart of director David O. Russell's, and will feature “cameos” by the all-new 2015 Chrysler 200. On Tuesday, February 25, Fiat will host the “Young Hollywood” event with Vanity Fair senior West Coast editor Krista Smith and Captain America actor Chris Evans, at No Vacancy, in Hollywood. The event will benefit Evans’s mother’s Concord Youth Theatre, in Concord, M.A. For 2014, L’Oréal U.S.A. once again is the beauty sponsor of Campaign Hollywood. L’Oréal Paris, Lancôme, Clarisonic, and Giorgio Armani Beauty brands will be represented at select events and at V.F. Social Club throughout the week by way of product displays, sampling, and touch-up stations. The beauty brand will conclude Campaign Hollywood with D.J. Night, on Friday, February 28, hosted by actress Anna Kendrick and featuring a special performance by D.J. Jaime Winstone, in support of The Art of Elysium. On Thursday, February 27, Lancôme and Clarisonic will hold a beauty-inspired luncheon and spa day at Spa Montage at the Montage Beverly Hills hotel, hosted by Vanity Fair beauty director SunHee Grinnell to benefit St. Jude Children's Research Hospital. Finally, on Friday, February 28, Giorgio Armani Beauty’s Tim Quinn will discuss Hollywood beauty with SunHee Grinnell at V.F. Social Club. Throughout the week, Grey Goose will celebrate those who achieve the extraordinary within the film industry with its Awards Season Cocktail Collection to be served throughout the week’s evening events. Vanity Fair and Fiat toast “Young Hollywood” – Tuesday, February 25 – Vanity Fair senior West Coast editor Krista Smith and Captain America star Chris Evans host Vanity Fair and Fiat’s toast to “Young Hollywood” in support of the Concord Youth Theatre, a nonprofit educational organization committed to making high-quality live theater accessible, relevant, and memorable for young people and their families. This invitation-only event will be held at Hollywood’s No Vacancy and will feature music by D.J. Ms. Nix. Vanity Fair, Leon Max, and Benedikt Taschen Present the Annie Leibovitz Book Launch – Wednesday, February 26 – Vanity Fair and Leon Max, along with Taschen Books’s Benedikt Taschen, will host a party in honor of Annie Leibovitz’s new limited-edition, sumo-size Taschen book, Annie Leibovitz. Held at the Chateau Marmont, the event will benefit the nonprofit organization Donors Choose. Beauty Luncheon and Spa Day with Lancôme and Clarisonic – Thursday, February 27 – Vanity Fair will join Lancôme and Clarisonic for a day of pampering hosted by Vanity Fair beauty director SunHee Grinnell at the Spa Montage at the Montage Beverly Hills Hotel. Hollywood’s top makeup artists and beauty bloggers will be treated to Clarisonic facials, Lancôme makeup touch-ups, spa treatments, and a light lunch at this intimate, invitation-only event to benefit St. Jude Children’s Research Hospital, the nonprofit advancing cures and the means of prevention for pediatric catastrophic diseases through research and treatment. Vanity Fair and Chrysler Toast American Hustle – Thursday, February 27 – Vanity Fair and Chrysler will host a private cocktail party at AGO to toast director David O. Russell and the cast of the Academy Award–nominated film, American Hustle. The event is being held in support of the Ghetto Film School, an organization that educates, develops, and celebrates the next generation of great American storytellers, and a cause close to David O. Russell’s heart. D.J. Night with L’Oréal Paris – Friday, February 28 – Actress Anna Kendrick, along with Vanity Fair and L’Oréal Paris, will host a chic party at Sadie Kitchen and Lounge, in Hollywood, featuring an exclusive performance by D.J. Jaime Winstone. This invitation-only event will benefit The Art of Elysium, a nonprofit organization that encourages working actors, artists, and musicians to volunteer their time and talents to children who are battling serious medical conditions.